Spend £ 140.01 more to qualify for payment by finance. The new KRK ROKIT 7 G4 is a versatile studio monitor with 7" woofer, DSP-driven room correction, a newly designed Class D power amp and matched drivers delivering excellent sound reproduction. 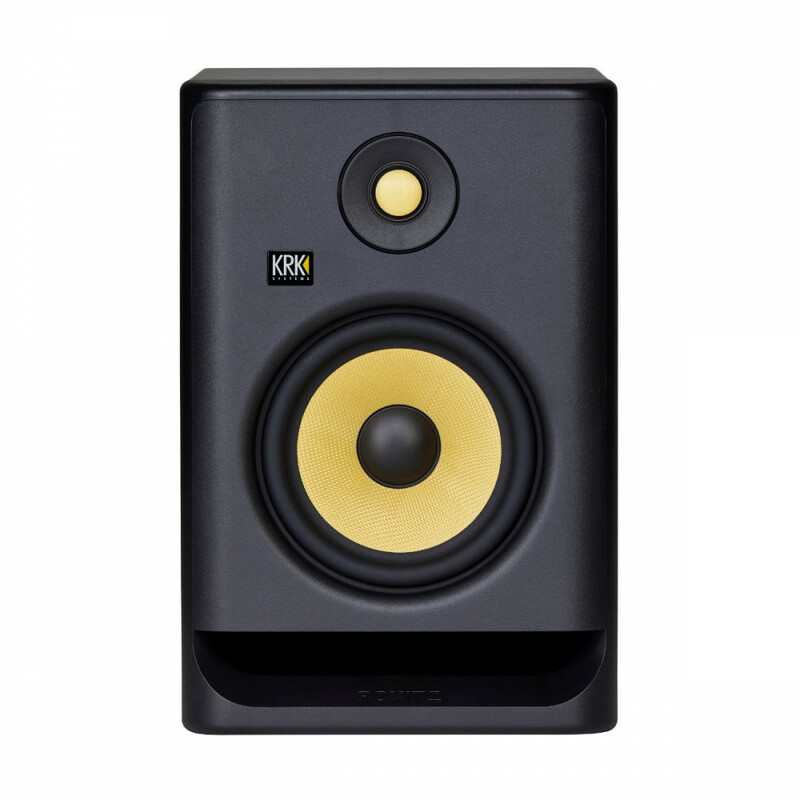 The new KRK ROKIT 7 G4 professional studio monitor is an incredibly versatile speaker system with 7" woofer, featuring DSP-driven room tuning combined with the included KRK App with room correction tools to get the best out of your acoustic environment. Matched drivers made with Kevlar ensure excellent sonic quality across the frequency range, minimizing listening-fatigue. The ROKIT 7 G4 offers an incredibly balanced listening experience, and the advanced high-quality speaker enclosure with newly-designed front-firing port offers exceptional low-end extension, punch and flexible room-positioning. The monitors now feature high density iso-foam pads which decouple the speaker from the surface for improved clarity while fluid mechanics fully tuned to the entire system result in a deep and dynamic listening “sweet-spot” with incredible imaging and 3D soundstage. The RP7 G4 introduces a new custom designed efficient class D power amp reducing operating temperatures to retain better audio integrity while a built-in Brickwall limiter automatically engages at maximum amp-level to maintain a balanced sound, protect the system, and offer better and wider dynamics. 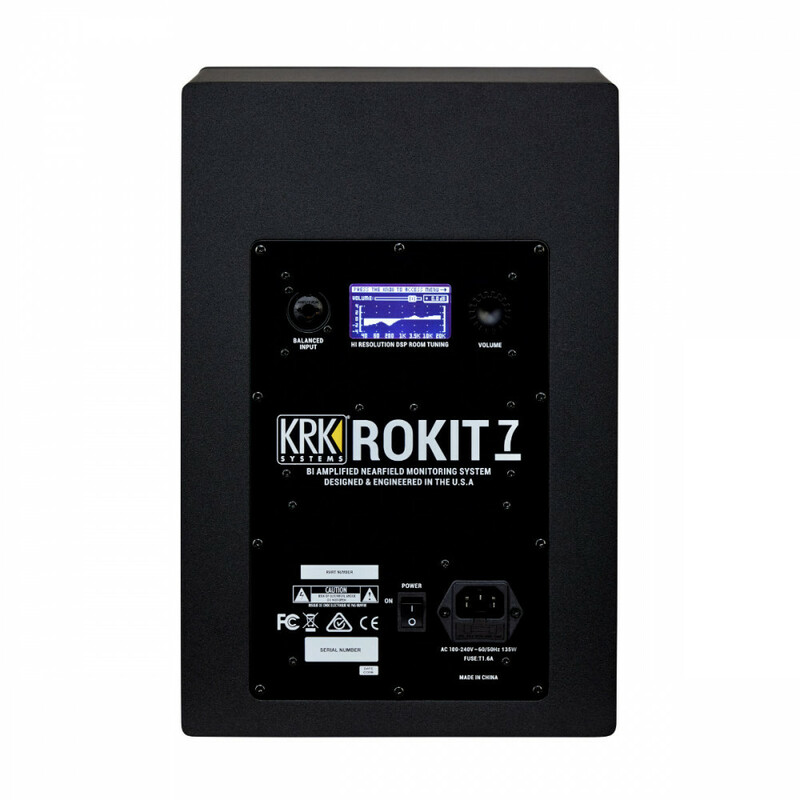 The versatile ROKIT 7 G4 is ideal in many different environments for all applications from production to mixing to mastering. On the back of the monitor is a DSP-driven room tuning system with 25 visual Graphic EQ settings to help minimise and correct problems in your acoustic environment. This works in conjunction with the included KRK App (Android/iPhone), which aids with speaker placement, level matching, subwoofer level and crossover settings, polarity, EQ, and a signal generator. This ensures you get the best results in your room, resulting in better mixes. The woofer and tweeter are a matched driver design which ensures the same sonic quality across the whole frequency spectrum and minimizes listening-fatigue, whilst offering an incredibly balanced listening experience. The new ROKIT G4 series proprietary drivers feature a superbly rigid and high tensile strength-to-weight ratio material known for high-end sound reproduction. The new speaker enclosure offers low resonance with newly-designed front-firing port offers exceptional low-end extension, punch and flexible room-positioning. There are high density acoustic Iso-foam pads which minimising surface vibration transmission for improved clarity. Fluid mechanics fully tuned to the entire system resulting in consistent air pressure behaviour at any volume creates an unprecedentedly wide, deep and dynamic listening “sweet-spot” with incredible imaging and 3D soundstage. At the core of the G4 is a newly designed, powerful yet efficient custom Class D power amplifier which drives the speakers evenly and more efficiently at reduced operating temperatures to retain better audio integrity. A custom built-in Brickwall Limiter automatically engages at maximum amp-level to maintain a balanced sound, protect the system, and offer better and wider dynamics. 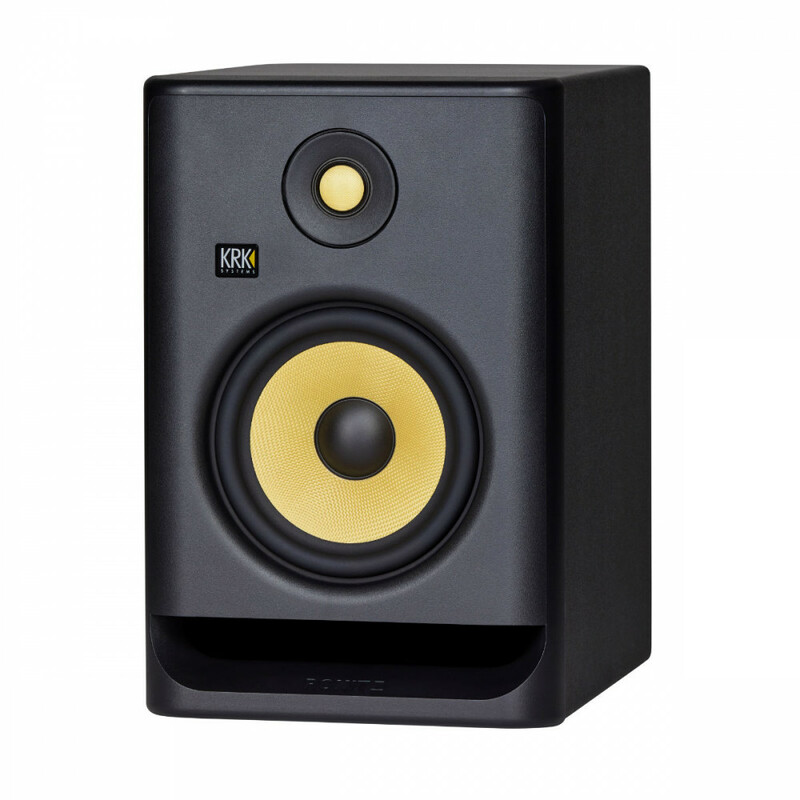 Seen the KRK ROKIT 7 G4 Active Studio Monitor Cheaper?